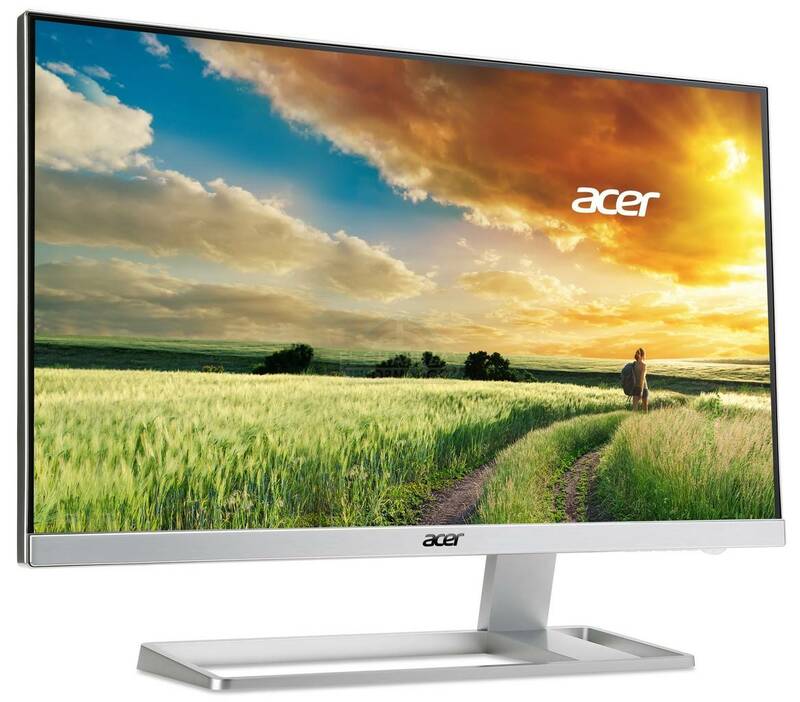 The Acer H226HQLbid is an affordable Full HD monitor with a stylish slim bezel design. It offers plenty of connectivity options, an IPS panel for vibrant colors, and some unique and exclusive features. Whether you need a monitor for everyday use such as watching movies or for casual gaming, you can now do so in style with this enthralling monitor, for a very reasonable price. The Acer H226HQL delivers an outstanding performance especially after considering its price. The IPS panel ensures the impeccable viewing angles which amount to 178 degrees both horizontal and vertical allowing you to enjoy a flawless image quality at basically any angle. Moreover, the colors are vibrant and precise which brings out the best in video games and movies while the everyday activities such as web surfing appear immersive with the sharp and crisp Full HD resolution. When it comes to gaming, the Acer H226HQL shows no signs of ghosting and trailing thanks to the quick 5ms response time. Additionally, it provides low input lag which makes for highly responsive and smooth gameplay experience at 1080p. In fact, in order to even get a slightly better performance for video games, you would have to spend at least $100 more; even then, the difference in the performance and image quality won’t be too noticeable. The Acer H226HQL features the Acer Adaptive Contrast Management which boasts 100,000,000:1 dynamic contrast ratio. You can either manually enable this feature in the OSD menu or automatically apply it to the screen via the pre-calibrated picture presets of the eColor Management feature. This feature consists of several different well-optimized presets which you can set to the image via the monitor’s hotkey. These scenario modes include User, ECO, Standard, Graphic, and Movie. The OSD buttons are conveniently placed beneath the bottom bezel and can be used as shortcuts when the menu is not open. The shortcuts include swapping between the picture scenarios, activating the auto-adjustment feature if connected through the VGA port, and quickly change the input source. Once you open the menu, you will have access to all the standard adjustable parameters such as brightness, contrast, aspect ratio, OSD settings, etc. The Acer H226HQL won an award for its design back in 2003 thanks to its ZeroFrame slim bezel and the magnetic base which can be used to store metal objects such as paper clips. Alas, the awesome design comes at the cost of limited ergonomic functions as there is no VESA mount and only the screen of the monitor is adjustable by -5, 15 degrees of tilt. Be it as it may, I still prefer a slim bezel to the ergonomic functions as it makes the picture simply pop out and deliver a cinematic viewing experience. The connectivity options will satisfy a variety of users as there are one of each VGA, HDMI, and DVI ports. 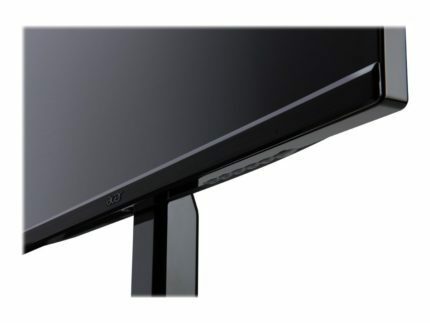 The HDMI port also supports the MHL which allows you to connect a compatible mobile device and stream content in high quality on the Acer H226HQL. As expected at this price point, there are no built-in speakers nor extra USB ports. 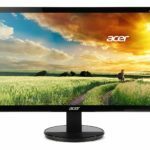 At the moment (March 2017), the Acer H226HQL is available for around $120. Considering the crisp Full HD resolution, vibrant colors, and a stylish design, the price is quite appealing; in fact, at this price point, nobody would be disappointed by the performance and image quality but rather pleasantly surprised. 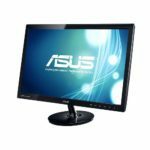 If you like the design and the features, this monitor is also available as a 23-inch and a 27-inch version. You can check them out at the following links, the Acer H236HL and the Acer H276HL. The Acer H226HQL delivers a surprisingly vibrant picture quality and a fluid performance with no ghosting whatsoever. It does lack some ergonomic functionalities, but the award-winning thin bezel design more than makes up for it. As one of the more affordable Full HD resolution monitors, the Acer H226HQL delivers much more than expected as both video games and movies overflow with clear details and vivid colors. Moreover, it features plenty connectivity options, unique features, and a rapid response time which makes for a flawless gaming experience at 1080p. 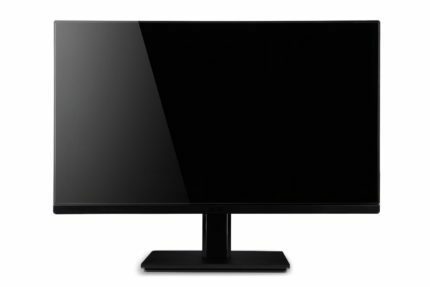 The Acer H226HQL is an excellent budget monitor for casual gaming and everyday use. Its IPS panel delivers stunning colors and a crisp Full HD resolution. The design features a unique magnetic base, a very slim bezel, and plenty of connection options.